I got the paper about Caco-2 cell monolayer apparent Permeability. 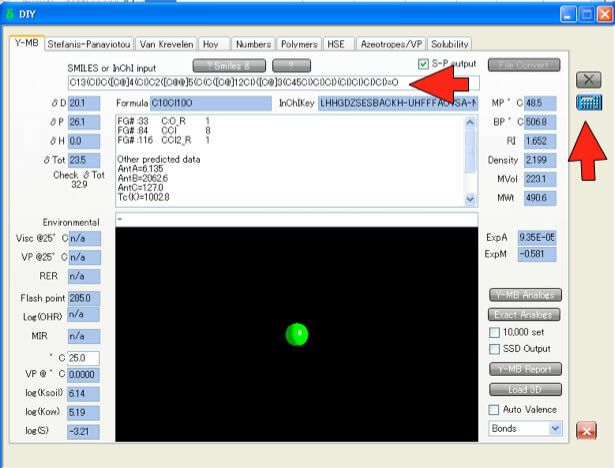 They build QSAR model with CODESSA Pro as descriptors generator. And almost all important descriptors are calculated by AM1 (Semi-empirical molecular orbital method). 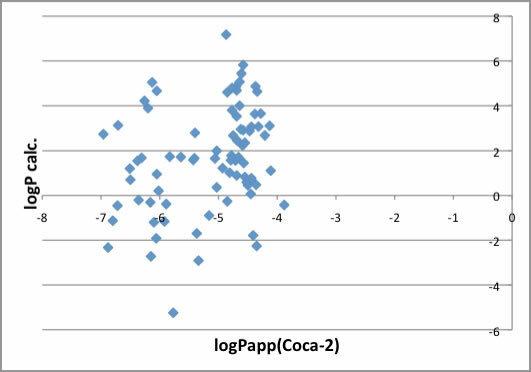 I know almost all these QSAR analysis are based on this technology. But it is very strange to me. Why permeability can be explained by HOMO or LUMO? 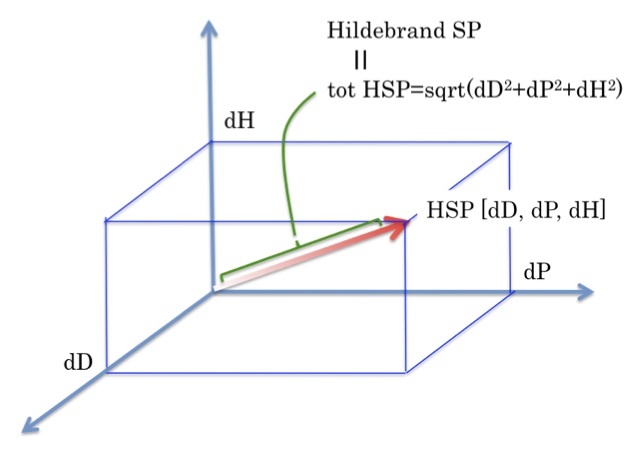 So, I dare to explain permeability with HSP. At first, I compiled CAS number for these compounds, and get the Smiles notations. Once I got the Smiles, HSPiP automatically break molecule into functional groups. 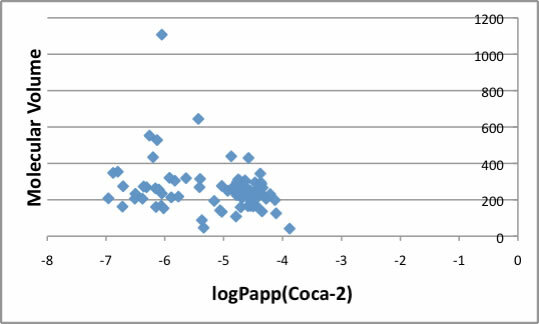 I analyzed logPapp(Coca-2) with Multiple Regression. 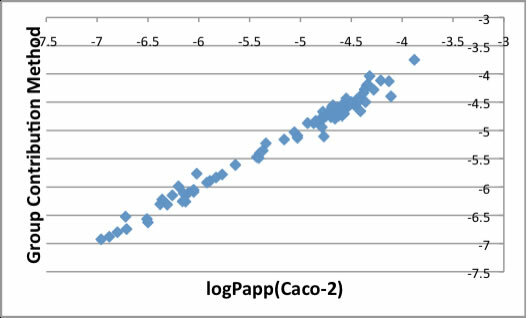 And Molecular Volume, logP, logS did not have good correlation with logPapp(Caco-2). I run the SOM analysis. Maybe this come from (-NH)2C=N group. This group should increase dP or dH. So, I need define new functional group. If someone have HPLC data of these two compounds, please give me. 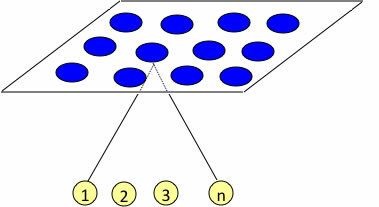 I will determine HSP. I can say that these compounds are so complicated and estimated HSP is very bad. 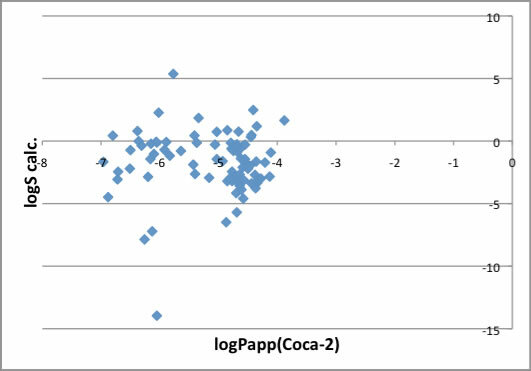 Other case, if I have new molecule, I calculate SOM and find the winner, I can predict the range of logPapp(Caco-2). It is not Quantitative but Qualitative. 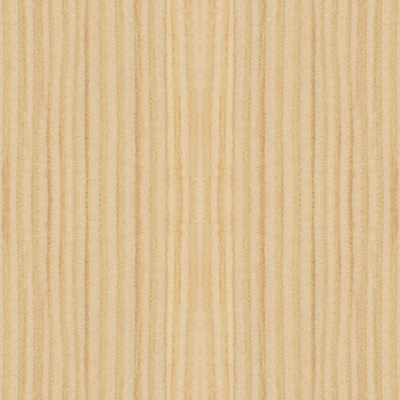 But sometime you can get much simple model and you can understand phenomena more easily.